Should You Go To Physical Therapy School? 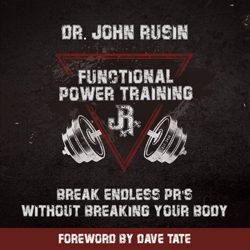 With the marked rise of the incidence of injury in sport and fitness over the last decade, many personal trainers and strength coaches have been forced to evolve into a more hybrid role managing pain and dysfunction that is present in nearly every athlete and client who walks through the doors. Our of pure necessity, physical training is shifting a lot more towards physical therapy. We’ve brought together 7 of the most influential strength and conditioning coaches from the world’s of professional athletics, elite barbell sport and mainstream fitness and training, who also happen to hold degrees and active licenses in physical therapy, to sound off on this highly debated question. If you are a strength coach, fitness professional or student in the university setting that is considering pursuing a doctorate level degree in physical therapy, here’s are the most important factors which you must consider to ensure you are making the right move for your career goals. Should I go to physio school? The question is pretty straight forward. Should I stop my current career as a strength and conditioning coach, spend a year of my life jumping through admission hoops and filing in school transcripts with bio-chemistry classes at the local city college, spend countless hours observing physios working with really sick people in an inpatient setting, take on 100k plus of school debt, accept the stress that goes with three years of graduate school, then spend six months in an unpaid internship working in a setting in which you don’t really want to build a career, so that you can finally go back to being a strength and conditioning coach with a clinical doctorate in physiotherapy? If it sounds complicated, it’s because it is. Let me be clear, I can coach anyone, in any state of disease, with any state of injury, of any age, or complex orthopedic history. I’m able to see how the cues I use with children will impact them when they become Olympians. I can provide hands on mobility work directly to my athletes when they are blocked mechanically. When my athletes get injured, I can rehab them and progress their rehab. I’m able to speak with physicians and other providers with an automatic understanding that I have had formal training and enough professional association to elevate my clinical thinking above bro-science. I speak corrective exercise, skill transfer exercise, position transfer exercise, and exercise. When my daughter suffered a terrible break in her tibia this year, I didn’t panic. I became her head physio and strength coach seven days a week. I speak differential diagnosis, and reassure my meathead friends that they don’t have knee cancer after high volume training sessions. I understand the genius of weightlifting, yoga, powerlifting, Pilates, gymnastics, and kettlebells, and Crossfit and how the shoulder is still the shoulder. I don’t get burned out coaching 24-hours a day and I’m happy to talk chronic pain with someone’s mother. The problem with the question is, can I be a good physio and not be a good coach? (I’m talking movement practice). There is no way that I would be nearly as competent as a coach as I am now if I hadn’t gone to PT school. I like being a physio. I like the work. Sure, I’m a coach first, but like two big trees that grow up with intertwined roots, I can’t pull the physio out of the coach, or the coach out of the physio. I’m very proud of being a PT. I like PT’s. I like the way we are trained to think. And yet, all of my closest and most influential friends aren’t. They are coaches. Or physio’s that coach. I think ultimately all roads lead to Rome. I believe that most physio education is bereft of real coaching instruction. I also think most coaches have a bit of an incomplete understanding of how the body works. Either way, I’ll see you in the gym. Climbing the ranks in the fitness industry and achieving your “dream job” can be an extremely confusing time for many fitness professionals and students. This statement has never been more true to me than the past two years where I’ve had the privilege to travel the globe educating thousands of world-class personal trainers, coaches and clinicians in my Pain-Free Performance Training System seminar. 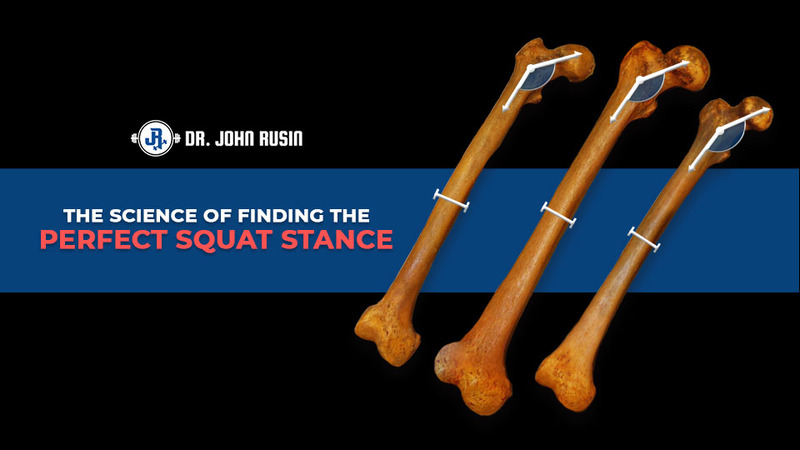 After two straight days of lecturing on screening, assessments, programming and the tenets of pain-free training, the single most common question I receive after the course is, “Hey Dr. Rusin, do I need to go to physical therapy school to do what you do?” And many times, the answer isn’t a simple yes or no. It’s far more complicated than that. I get it, many of my students, athletes, readers and followers see me as “Dr. So and So” and are under the impression that the 8+ years I spend in school earning a doctoral level education somehow placed me on this trajectory to allow me to do what I do today. But interestingly enough, I truly believe based on one’s goals, a physical therapy degree is not mandatory, nor even that helpful to become a world class professional in the field. Very few actually realize that I was a strength and conditioning coach before I ever stepped foot into physical therapy school. Or, that I’ve never worked as a traditional physical therapist seeing post-op patients, taking insurance, doing paperwork, administering heat packs, or whatever it is that physical therapists do these days. Even through physical therapy school, I continued to coach athletes, and man, looking back on it thank God that I did as THAT alone gave me the leg up looking back on it. See, I never had the goal of being a traditional physical therapist, but rather, fell into the education system randomly and without much purpose. Just a few days into my first semester of DPT, I knew more than ever that I wanted to continue to coach athletes, as it was and IS my passion in life. But being the hard head that I am, I still put in my time, studied hard, worked double time in the gym and got through, only to take a coaching job the second I left school. But holding a degree in physical therapy AND having built career capital as a coach placed me in a very unique position professionally. There were times early on in my career where I was turned down from strength and conditioning jobs in the collegiate sector for being “overly qualified,” whatever that means. But there were also instances in professional and Olympic sport that having a DPT opened the doors to opportunities I would have otherwise missed out on. Today, more than 95% of my athlete management is non-clinical, and sits on the side of training far more than it does therapy. But that does NOT mean that an advanced knowledge of the human body and advanced medical and functional diagnostics does not come in handy, it does. So if you are looking to pursue a degree in physical therapy, you must look at YOUR career objective and clearly define what fuels your passion to work in this field. If your goal is to train athletes and clients on the gym floor, be the best coach you can be. That means investing in your education on THAT side of the industry, remembering that education doesn’t only take place at the university, but rather in unique and diverse real time experiences. If you are a personal trainer who loves working with post-rehab clients and your goal is to work in rehabilitation with this patient demographic, then maybe pursuing a degree in physical therapy may be the best move to chase your passion. But do NOT think it will make you more money, or will lead to training more elite level athletes, it won’t. And for all you students out there currently slaving away in the library, before you go jumping into an accelerated DPT program or chasing your master’s or doctorate, I’d challenge you to get in the gym, start training human beings and use that experience to fine tune your focus and find what it is that truly drives you. If you’re ever in doubt, look within yourself and define your goals and do what’s best for YOU, not someone else. Let time and experience clarify your next move. 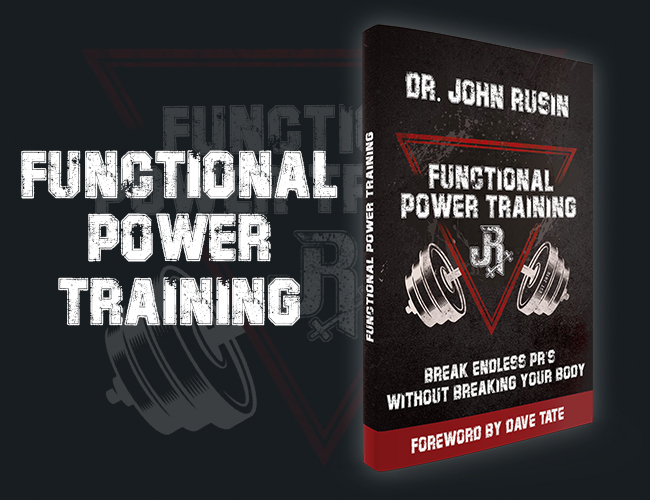 Having a doctorate in physical therapy as a strength and conditioning coach has given me a unique perspective not only when it comes to writing training programs, but also when it comes to coaching. The knowledge we gain about the human body in physical therapy school goes beyond any strength and conditioning book or course, starting with spending three months in a cadaver lab dissecting human bodies, learning and memorizing origins, insertions and innervations of muscles, visualizing joints and bones to becoming movement specialists capable of analyzing gait, and then utilizing all of that knowledge to really understand biomechanics of the human body. We definitely don’t learn a lot about writing exercise programs (even at the great University of Miami Physical Therapy program) that will take someone from injured to competitive like Dr. Rusin always says, but we do gain a deep and unique understanding of how the body works and is supposed to move and how tissues work and respond to stimulus. My best part about having the DPT and working with strength athletes is that I have the capability of not only helping my athletes get through injuries, but to come back stronger than ever and then to improve even more after that. It’s an interesting twist of words when I say very little that I do is from my physical therapy school education, but everything I have is because of my physical therapy education. Some of the opportunities that I was afforded early in my career came about because I was either becoming a physical therapist, or already was one. Without being in those circles or having that credential would not have allowed the career path to tumble how it has for me in terms of the workplaces I’ve been, courses I’ve been able to take, and the methodology I’ve been able to develop. All of that being said, very little of my thought process or day-to-day work resembles what most physical therapists do. I’m not sure being a Doctor of Physical Therapy (DPT) has any impact on me beyond the Master’s in Physical Therapy that I graduated with. I was able to get my DPT post-graduate almost 10 years later, but I’m not sure the degree has been nearly as relevant as the license and overall credential. To become an elite strength and conditioning coach, it requires experience and knowledge. Experience is gained by spending years in the trenches coaching athletes and non-athletes alike. In the early part of your career, non-athletes are more important to coach because they typically don’t learn proper posture and movement as easily as athletes do, which makes it more challenging for you. That’s a good thing because it better develops your cueing and coaching skills. If you learn how to coach a middle-aged housewife to squat or deadlift correctly, then doing the same for an athlete will be a cinch. Knowledge is gained by consulting with experts in your field so you can learn what strategies they’ve found successful, and avoid making the same mistakes they’ve made. 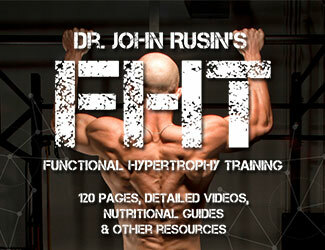 Attending seminars from experts such as Dr. John Rusin or Andreo Spina will drastically increase your knowledge base. Beyond coaching, cueing, and consulting with experts, another essential component to learn is programming. 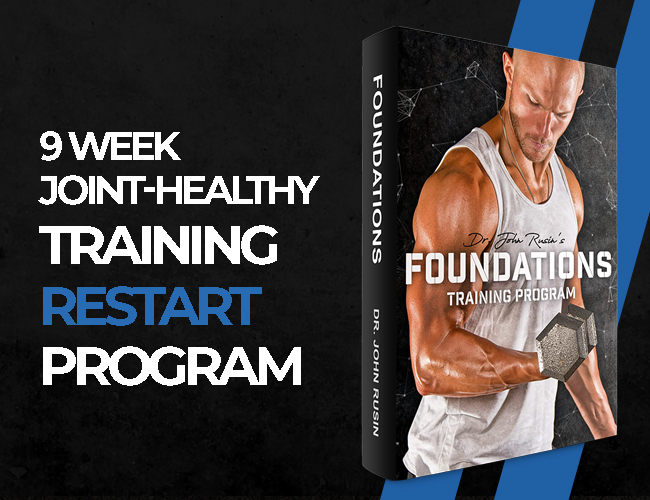 I think StrongFirst, an organization created by Pavel Tsatsouline, teaches the best programming strategies out there. Note that I haven’t mentioned anything about formal education, much less a doctorate degree. From my perspective, you should only seek a doctorate degree if you really wantit, because you definitely don’t need it. Getting a Ph.D., or becoming a licensed practitioner with a DPT or DC degree, takes you beyond the realm of the strength and conditioning world. So if that’s your goal, a doctorate degree could be a good option. However, seeking such a high level of formal education will do very little, if anything, to help your career as a strength and conditioning coach if you follow the steps I mentioned. I’ve come across plenty of great physical therapists who wouldn’t stand a chance in a weight room or strength and conditioning environment. I’ve also come across plenty of great strength and conditioning coaches who would struggle if tossed into a clinical setting. You don’t need a Doctorate in Physical Therapy to be a great strength coach, nor do you need a vast strength and conditioning background to be a great physical therapist. It is important, however, to be fluent in the areas of rehab, strength and conditioning and athletic performance if you want to be truly valuable to your client, patient or athlete audience. In my case, I’m a licensed athletic trainer, licensed physical therapist and a certified strength and conditioning specialist. I see myself though, as a strength and conditioning coach with a background in physical therapy and athletic training. I help people to get strong the right way. This view and approach helps me to be my best in the space and the area that I enjoy the most, the weight room. That’s my seat on the bus and I own it. I use my diverse background to expand my perspective and skillset as a strength and conditioning coach. This mindset is what helped me to get a position with the Los Angeles Lakers and spend 6 seasons as the Head Strength and Conditioning Coach with that organization. They didn’t need someone to do physical therapy, athletic training and strength and conditioning. They needed someone who could run the weight room while communicating with other experts in the areas of physical therapy and athletic training. Having multiple licenses and credentials can undermine your ability to be a successful rehab or strength and conditioning professional. Physical therapists who dabble in strength and conditioning but refuse to admit that lifting heavy things the right way is the most effective route to better durability, performance and health are doing a disservice to their audience. If you want to help people, start teaching them how to move and the process of building strength in fundamental movements. Stop telling people to stretching and rest is what they need! Meanwhile, strength and conditioning coaches who think that the ONLY tool is lifting often, hard and heavy are inevitably going to skip steps with their audience and set them up for failure. An understanding and respect of both realms is what will make you the voice of reason and a better servant to your audience. The letters after your name don’t make a great rehab or strength and conditioning pro. Instead it’s your understanding of multiple disciplines and your ability to relay this insight to your audience that will set you apart. The trick is to use a broad understanding of the overall space that we’re in (sports medicine, rehab/therapy, S&C, training, health and fitness) to help you to become great in one area that you enjoy the most. I always tell people: pick a seat on the bus and own it! Expanding on the seat on the bus analogy, it’s smart to get a feel for a few seats on the bus on your way to the one you want to be yours. The issue becomes when you try to sit in a different seat each day of the week. 1) Being pretty good at “lots” of things without ever being “incredible” at one thing. This isn’t necessarily bad as the more we look at how and why our body operates the way it does, it’s so closely linked to neural system processes, and very rarely is movement, pain, or performance solely linked to ONE single facet. We ARE multidimensional and the body of knowledge that we as PT’s choose (some more than others) to jump into is IMMENSE; the best coaches I know are those that have jumped feet first into the scientific application, but only when met with discernment. 2) I could say “clinical decision making” but really, it comes down to evaluation of the whole picture, and discernment for the best course of action. We have to be REALLY good at seeing the forest through the trees, while still paying attention to the “important” trees. When you have a knowledge base that appreciates all the different components that contribute to our movement, you quickly figure out that you can’t apply the same principles to everyone. Period, especially in communication, education, and the neural components of how we cue an athlete. Great coaches have this skill. I 100% believe that based on the amount of person-contact time I have every single day, if every single one of those is a learning opportunity, I’ve gotten really damn good at picking out the important parts, and knowing when and how to incorporate concepts. I have a degree in Athletic Training /Sports Medicine. From everything I have seen read, experienced, & done I have the exact training, skills, knowledge, & abilities as a PT. But I can’t get licensed as such. In every state except Texas I have to pass an exam & be certified by the NATA as a ATC to get a job as an athletic trainer. I am also a LMT (Licensed Massage Therapist); after the basic course I took an advanced skills course. One of the classes I took required a textbook that had the exact same information about evaluations, testing, & treatments used by PTs & ATCs. This was confirmed by the many PTs I asked about the book ( and a few chiropractors too). I even worked for a DC as his exercise therapist until I found out his license did not cover me & I could be sued for practicing without a license; I was acting as a PT/ATC. working for a commercial gym I became know by my sales manager as the go to guy for elderly or other individuals with previous injuries; even introduced me to prospective clients as his “doctor”. More than 75% of my clients has\d some kind of injury, post surgery (joint replacement), rehab issue, or disease (MS) condition. I was getting paid less than $10.00 an hour to do the exact same job PT’s were getting paid $60-$100 per hour to do. So yes, I agree; going to PT school is well worth it only becasue you can actually get paid for the value of the education. I did it for years without the license & went broke doing so. Jerry, I can see how you feel like you do the same job and have the same training as a physical therapist. I am assuming you are working with PTs that are in the sports specialty or see clients that are higher level athletes or older adults that are more active in general. In that small part of the PT world, yes you might be more qualified than some PTs. However, the PT profession and education is much more involved than that. Orthopedics (what you mostly encounter) is a large part of our education but we also spend a lot of time in neuro, pediatrics, cardio, wound care, hand therapy, lymphoedema, and much more. We also work in the hospital setting with patients day of their surgeries. Can you say you know what to do with a patient with a stroke from day 1 of their hospitalization to when they step into a gym to work with a trainer? Or what about an infant with developmental delay or torticollis? I specialize in orthopedics but can confidently say I know how do all those things above well because that was a large part of our schooling. There are definitely PTs that are WAY better at it than me because that is where they spend the majority of their time post graduation. And in my orthopedics setting, the patients that go to the gym or are athletes are by far some of the “easiest” patients in that they are usually more self motivated and healthier in general. Most treatments + time usually gets them to where they want to be and I send them off to their trainers. But unfortunately 50% of my patients have never exercised consistently in their life, have a ton of comorbidities and psychosocial issues and just not self motivated that they take so much longer to heal. So in or short, no you do not have the same training nor would I ever say I can do what you do on the field. If the argument is that we have the same training, one of our professions would not need to exist. Hi Jerry. I get your frustration and believe there is a lot of overlap in with ATCs and PTs in the sports world. I have many colleagues that are PTs and ATCs and would argued there is a vast difference in education even in the sports orthopedic setting. As one recently told me in talking about some legislation, “ATCs don’t know, what they don’t know.” The CA athletic training association just had a bill AB3110 die because they were wanting to work with all populations with no supervision. I doubt an athletic trainer would pass a national licensing exam. The fact is licenses and credentials are designed to protect people, are a means to end sometime. Now an ATC, PT and stength coach would be a great combo. You gotta pay to play Jerry. Great topic. Really this can only be answered effectively at the n=1 level. For every great hybrid there are likely many more who do not do justice to either profession. Nobody in this discussion actually practices at the highest level of their PT license – it all Ortho PTs – no neuro, geri, home health etc….. there is a huge disconnect and a lot of misconceptions due to that as well. As a home health DPT who also holds an MPH – I will say there are many variables missing in this discussion. Hi Brandon. Would you care to elaborate on this any? I’m very interested in obtaining your insight. You should go to physical therapy school if you want to become a physical therapist. If you’re a physical therapist that wants to be a strength coach. Be a strength coach. If you’re a strength coach that wants be a physical therapist . Go to physical therapy school. If you just wanna show exercises on Instagram. It’s free.